Estonian Fund for Nature (ELF) in cooperation with the Estonian Museum of Natural History will start to improve the wintering conditions of the Pond Bats and to introduce their lifestyle more widely. Nature friends can help bats through active communal work and not disturbing bats in wintering sites. 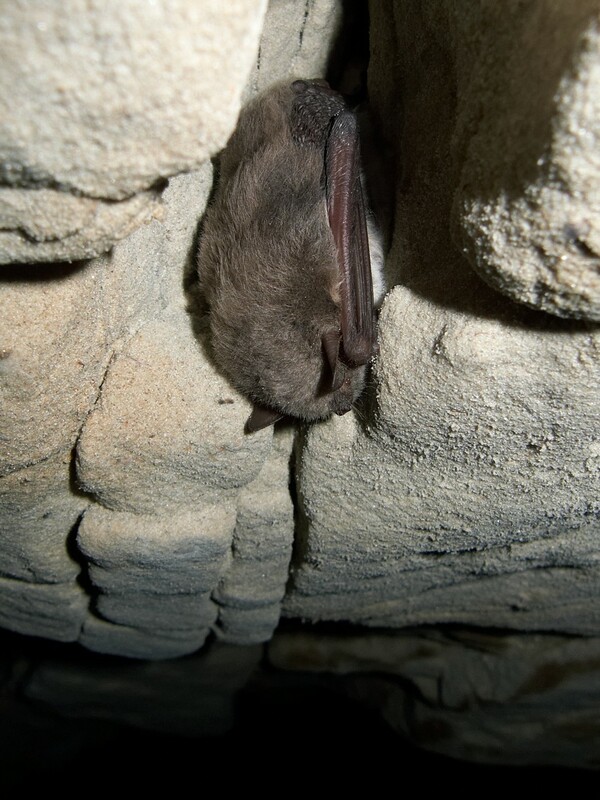 The Pond Bat and other wintering bat species we have are protected by Nature Conservation Act. In Estonia, many bats are hibernating in the tunnels of abandoned fortresses and mines, where their lives depend a lot on human activities. "Bats require peace, silence and a suitable microclimate during hibernation. Unfortunately, studies show that bats do not do well in most protected hibernation sites. One of the reasons for this is too frequent disturbance. For example, the presence of only one person in an underground wintering area can wake up a whole bunch of bats in a colony. If it happens too often during the winter, bats spend too much of the energy needed for hibernation and may not survive until spring", explained Lauri Lutsar, bats expert of the Estonian Fund of Nature. In the framework of the project "Improving the Pond Bat habitats in Estonia" (so-called EstBatLIFE), that will last from the summer of 2017 until the summer of 2021, the monitoring and research of the Pond Bat, improvement of wintering conditions of that bat and rising public awareness of all bat species are conducted. Wintering conditions are planned to be improved in Southern Estonia in Piusa and in Northern Estonia in Humala, Vääna-Posti and Ülgase. "We want to secure bats with more peaceful hibernation by making wintering conditions more suitable. In order to reduce disturbance, among other things, it is planned to increase the safety of tunnels and to involve people into nature conservation activities, informing them at the same time about life requirements of bats," said Lauri Klein, EstBatLIFE project manager. For example, as one of the actions during a project, the temperature regime, suitable for bats will be restored in 600-meter-long tunnel, regulating air movement and thus avoiding the freezing of bats. In wintertime, uncontrolled access is planned to be restricted to people, and information boards will be created to give people information about the existence of bats and the correct behavior in their hibernating sites. A wide-ranging publicity campaign is also planned: communal work for bats; training for nature-tour guides; in 2020, an interactive exhibition about bats will be opened under the leadership of the Estonian Museum of Natural History. The project is funded by the European Union LIFE Program and the Estonian Environmental Investment Center. More information is available on the web page, under constant update: http://elfond.ee/nahkhiired. Like songbirds, bats play an important part in the complete nutrition chains of nature, as nocturnal insectivores they keep ecosystems in balance. The Pond Bat is one of the largest bat in Estonia - its wings range is 20-30 cm, weight is 14-20 g. The Pond Bats have been given particular attention and protection in the European Union, since the rapid decrease has been observed in its abundance. In several Estonia's large wintering places, the abundance of the Pond Bat has dropped significantly over the past decade. Probably the reason is that nowadays people often find ways to the underground tunnels that are at the same time wintering places of this rare species.